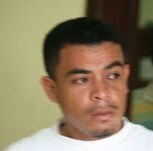 A delivery truck driver, Ernesto Vasquez, was arraigned today in the Belize City Magistrate’s Court and slapped with three traffic offenses: manslaughter by negligence, driving without due care and attention and causing death by careless conduct. Vasquez is accused of causing the death of James Gongora after he allegedly knocked him down between Miles sixteen and seventeen on the George Price Highway in the evening of November fourth. According to police, Vasquez claims he was driving a delivery truck on the George Price Highway heading from the direction of Belmopan, when upon reaching between Miles sixteen and seventeen, he was momentarily blinded by the high beams of an oncoming vehicle. This is when, he claims, he knocked Gongora off his bicycle. Gongora was rushed to the Karl Heusner Memorial Hospital for immediate attention, but succumbed to his injuries later that night. In court today, Vasquez was unrepresented and when the charges were read to him, no pleas were taken. Vasquez was offered and met bail of seven thousand dollars and is scheduled to re-appear in court on January thirteeenth, 2014. How is the Coye family going to pay for funeral arrangements? World Cup Trophy arrives in Belize! Arguments come to an end for SSB vs. Sunshine Holdings Ltd.